In 2015 fashion retailer, FatFace, took a business decision to not take part in the discounting phenomenon ‘Black Friday’ and instead made a statement against the discounting epidemic and launched the bold ‘Thanks for Giving’ campaign. Through the campaign a percentage of FatFace profits were donated to the FatFace Foundation and funds were distributed to charities within FatFace trading areas. 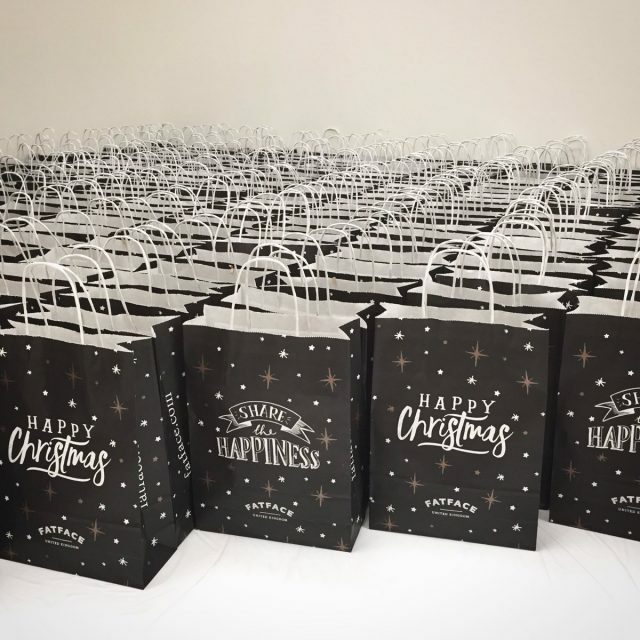 The campaign was hailed a major success and blasted across national media – and helped to kick off the brand’s most successful Christmas season yet and most importantly, it made significant impact on the lives of vulnerable people, with charities being selected by FatFace crew and customers. The ‘Thanks for Giving’ campaign is back and aims to be even bigger! Running from the 21st – 28th November, FatFace has already committed to £100,000 and are pledging to beat last year’s remarkable total of £200,000! Funds from the fundraising will not only support local communities, but FatFace hope to share money to charities right across their supply chain, placing funds globally to truly make a difference. As a business Keenpac wholeheartedly resonates with the campaign’s ethos and is delighted to be supporting and donating.